There's nothing quite like a rack of ribs dripping with a tasty barbecue sauce. But getting those ribs cooked properly with a nice coating of sauce that flavors the meat beautifully requires restraint as well as a bit of strategy. 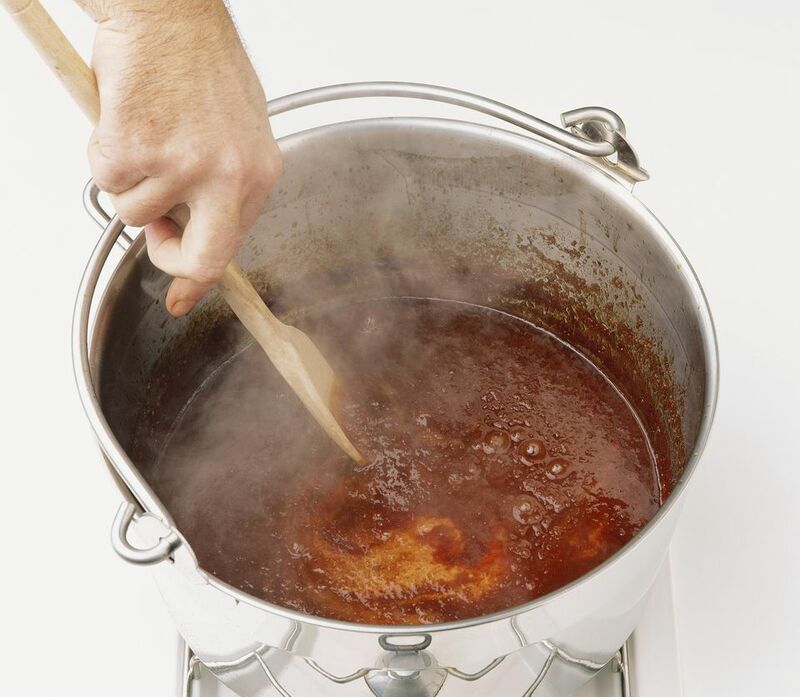 Cooks often apply the barbecue sauce either too early and too often, or too late, off of the heat. Whether you are grilling or smoking, there are specific techniques to basting chicken and meat with a barbecue sauce. Some cooks may coat the protein with the barbecue sauce before even putting on the hot grill. Others may wait until the meat starts to cook, but not long enough, basting too soon into the cooking process. This will not end well, and it's all due to a specific ingredient in barbecue sauce. Most barbecue sauces contain sugar. Sugar burns at a temperature of about 265 F/130 C. If you are cooking above this temperature—most likely when you're grilling—then the sugars in a sauce will burn and add a bad flavor to foods. The sauce can also turn gummy, creating a strange texture to the meat. So when is the perfect time to baste with the barbecue sauce? That would be when the meat is about 10 minutes away from being done. You want to give the sauce enough heat to begin to caramelize, adding rich flavor, but not enough heat where it will reach the burning stage. Begin brushing on the sauce, adding two or three more coats until you remove the meat from the grill. If you notice a flare-up, move the meat to a cooler part of the grill. Ribs, however, can handle more sauce applied earlier in the cooking process. Most people expect a thick barbecue sauce on ribs, so it should be layered on during the last 30 minutes to an hour of cooking. Apply several thin coatings to build layers. This is what makes for a sticky, delicious surface on ribs. Since smoking is typically done at much lower temperatures than grilling, you don't have to worry about the sauce burning and ruining your food. You may get some caramelization of the sugar which will deepen the longer it is on, but it won't burn and cause you any real problems. In true barbecue, most meat is served with barbecue sauce as a condiment and not as an ingredient. Whether you baste while on the grill or serve on the side, the flavors you add to grilled and smoked meats should be controlled. Make the most of your barbecue by allowing the diners to add sauce if desired.